During World War II Mary Smallwood went with her family to live on a farm in a Warwickshire country village. 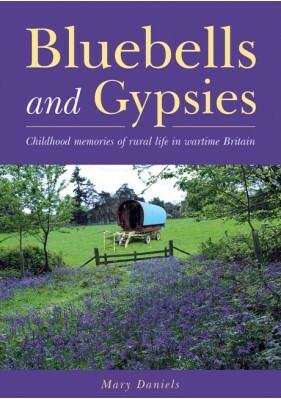 Bluebells and Gypsies is a record of those early childhood years. Memories of that idyllic time have stayed with her vividly, not as a historic record but colouring the rest of her life. After leaving school she trained as a State Registered Nurse and a Health Visitor in Birmingham and was also a freelance writer. She married Birmingham journalist John Daniels and is a mother and grandmother. Mary now raises money for charities through her membership of International Inner Wheel.